Parliamentarians in the Upper House on Tuesday paid homage to former Governor General Sir Reginald Palmer, who passed away on Monday. Sharing memories of him, in particular his role as an educator, the former Head of State was described as an educator who made impactful contribution to the citizens of Grenada. On Monday, a statement from the Office of the Prime Minister said, that on behalf of the Government and People of Grenada, he extends most profound sympathy to the family and friends of Sir Reginald Palmer, former Governor General of Grenada. “Sir Palmer will be remembered and appreciated for his years of service to Grenada, ultimately becoming Head of State on August 6, 1992 until August 8, 1996,” said the statement. 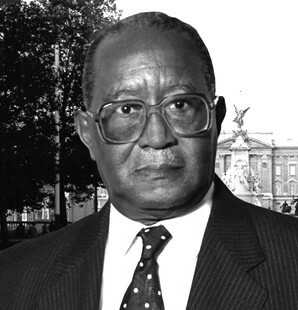 “While many of recent vintage knew Sir Palmer as Governor General, he was also a distinguished educator, holding various positions in the public service, including school Principal and Chief Education Officer,” said the statement, which explained that thoughts and prayers of the Government and People of Grenada are with his family and friends on this sad occasion. Sir Reginald Oswald Palmer, GCMG, MBE began his career in education, first as a pupil teacher, he went on to become the head teacher of St George’s Roman Catholic School in 1956. In 1972 he was promoted to the government post of Assistant Education Officer and then in 1973 was made Principal of the Grenada Teacher’s College. The following year he was again promoted, becoming the government Chief Education Officer. Palmer retired from public service in 1980 and entered the private sector, serving two terms as President of the Grenada Employer’s Federation. He was 93 and he was survived by his wife and children.